Floral Tassel Tie Blouse is rated 4.9 out of 5 by 8. Delivering loads of sunny style that's sure to make you smile, this clip-dot blouse features a sketched floral print with pretty pops of color. A keyhole neckline with tassel ties adds a sweet finish. Rated 5 out of 5 by Beth1220 from Love the print When I wear this top always get compliments. Love it. Rated 5 out of 5 by beebsflwrs from Perfect Top! 5 stars! 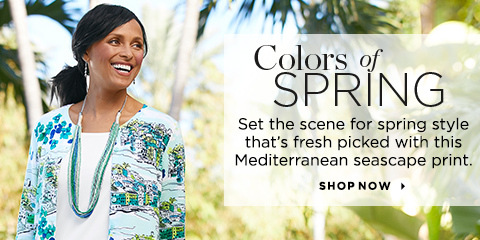 this blouse is not just light and breezy looking, it is the perfect weight for cool spring days. The Swiss dot texture elevates the classy look. Rated 5 out of 5 by nollin from Just enough color I love this blouse! The flowers provide just enough color to tie the whole pattern together. The material just flows with every movement. It is thin material so I wear my white cami underneath which makes it perfect for jeans or dress pants. Rated 5 out of 5 by Nicolettli from Hangs nice Cute and blousy. The blouse is of a nice material that doesn't cling. It is light and airy, and just a bit see-through, so you may need an undershirt. Love the style and femininity. Rated 4 out of 5 by Kelbell from Fun Spring shirt If you like to have a little punch of color this is the shirt. Rated 5 out of 5 by Threetwo10 from Love the material and style I love this shirt and the colors are beautiful. The material is so fine. Rated 5 out of 5 by JASY from Such a cute spring blouse! Love this blouse and it is very comfortable! Quality product!